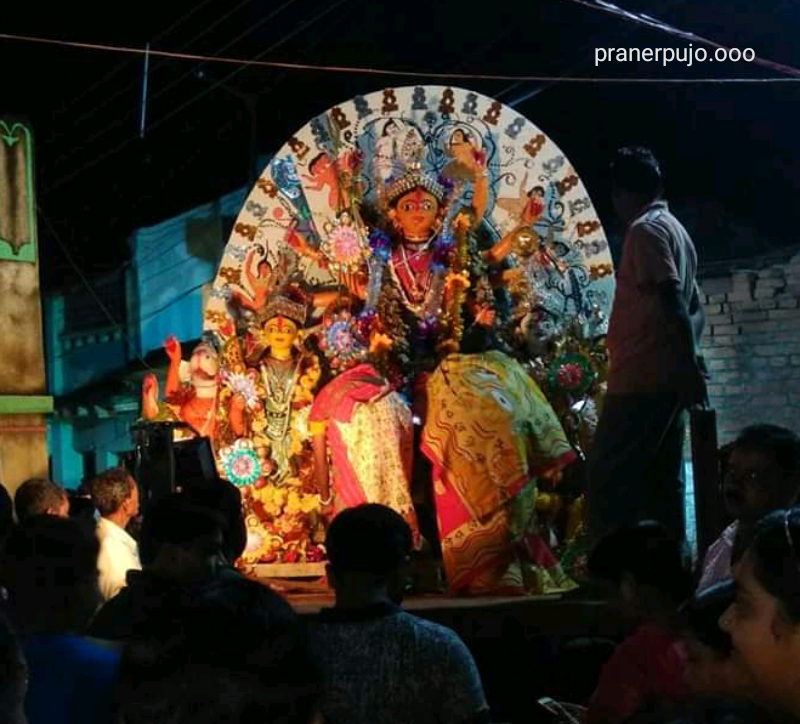 Godardihi Durga Puja:- West Bengal, Bankura and in the Middle of the Beliatore and Borjora There is a Village called Godardihi. It's called as a Village but it's much more than A Village. 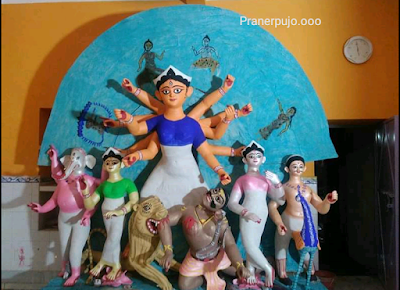 Because the people of the Godardihi is really Creative and Talented. So It's Common that the Puja of Godardihi is must be so Creative. 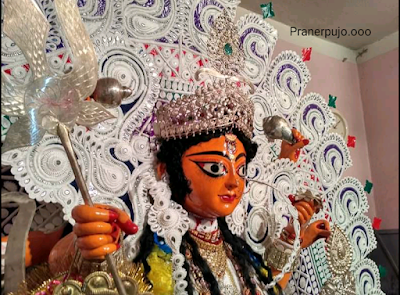 So if you want to know About Godardihi Durga Puja then keep reading this "Godardihi Durga Puja || Two Most Historical Durga Puja in Godardihi" Article. 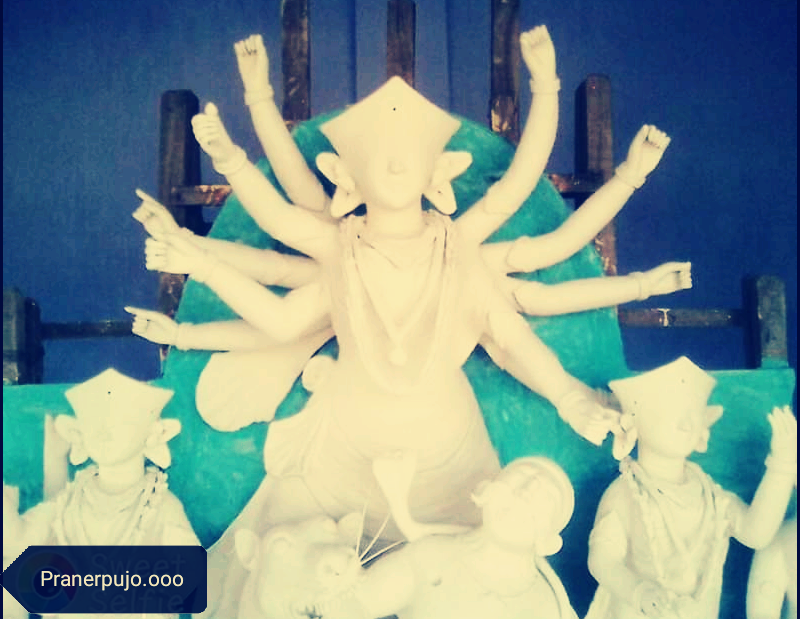 Because Here we Going to Tell You about the Durga Puja of Godardihi. So don't Quite this page just keep reading this small Article. 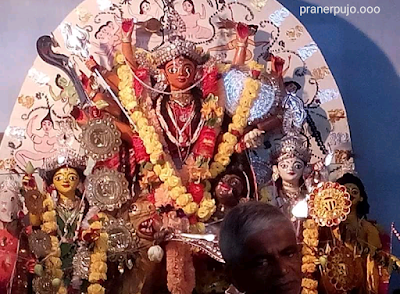 In this Village there are 5 DURGA PUJA. 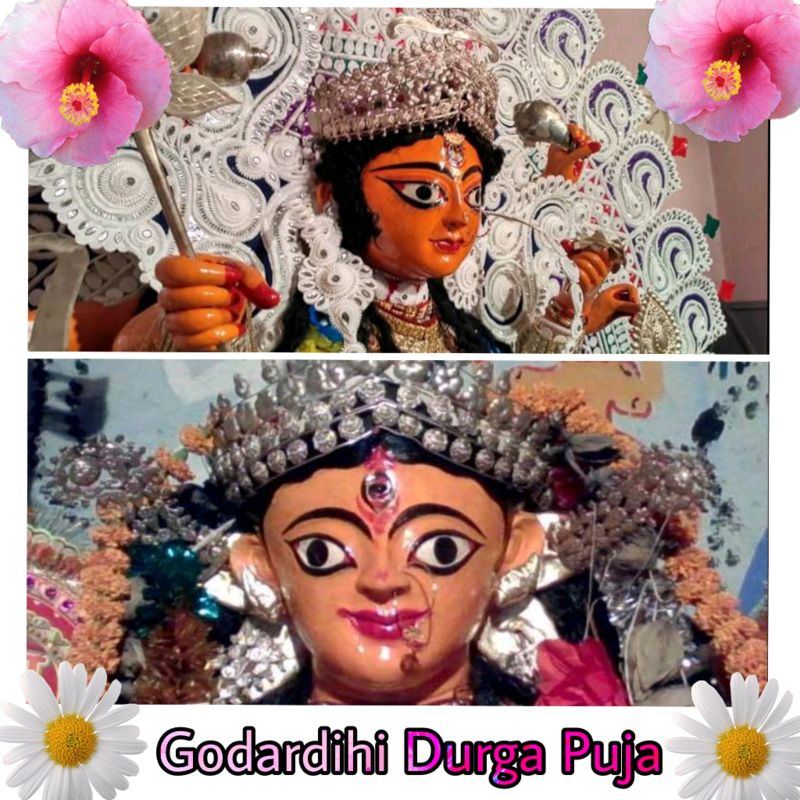 But I) Poddar Parar Durga Puja & II) Goswami Parar Durga Puja is the Most Historical Puja of Godardihi. 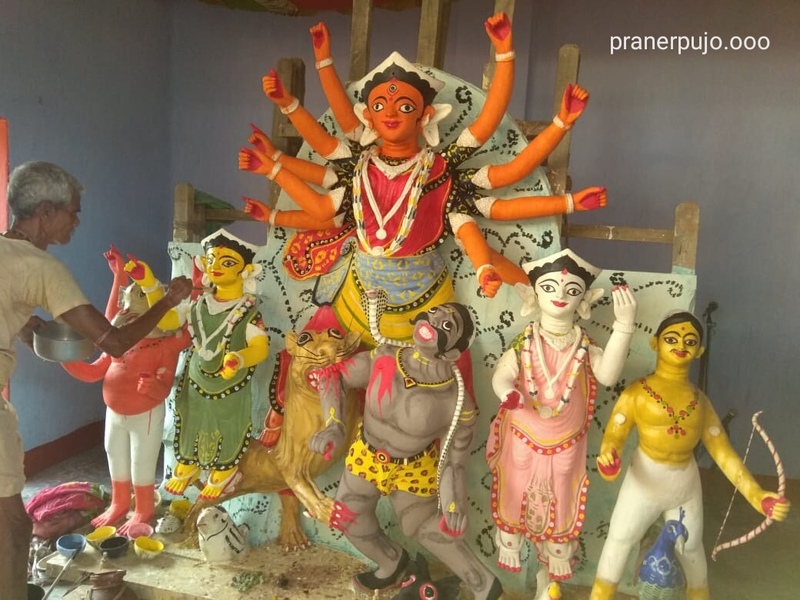 These two Durga Puja has so much Historical Value. 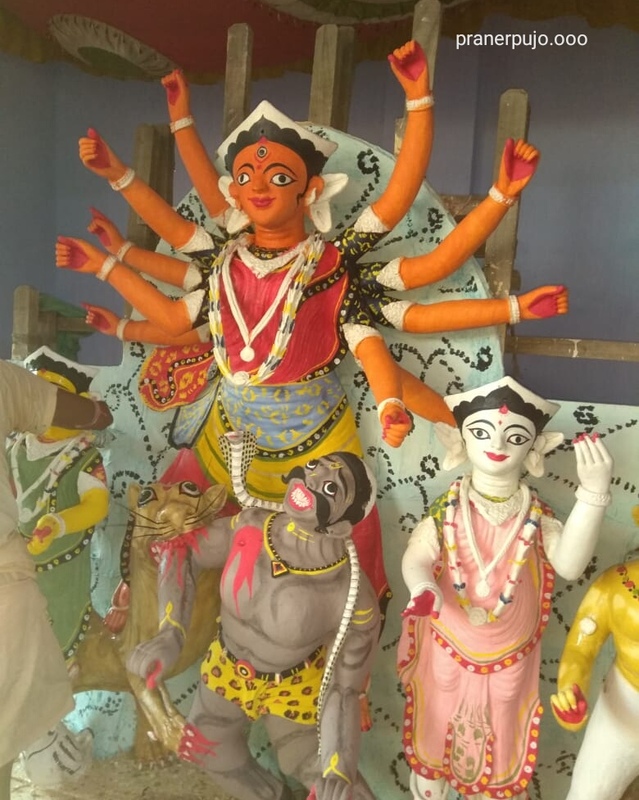 These two Durga Puja aren't Different because before so many years Ago these two Puja were Worshiped together in the Poddar Para. After that, The people of Goswami para wanted to worship Durga maa in their locality but there's no Durga Maa so that's why Poddar para's people gave them one Idol of Maa Durga. And it was quite bit hard to continue worshipping two Durga Puja for the same people. 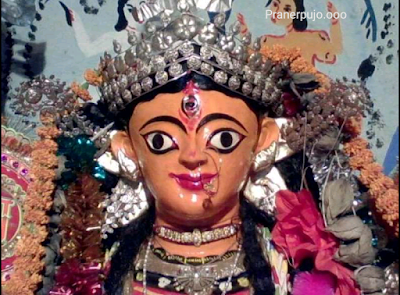 So This Durga is Called Boro Maa. Because it's older than the Poddar Parar Durga Maa. This Durga Puja is One Of the Best Puja of Godardihi which is Worshipped by Podder or pal parar's People. This Puja is 125years old Durga Puja. 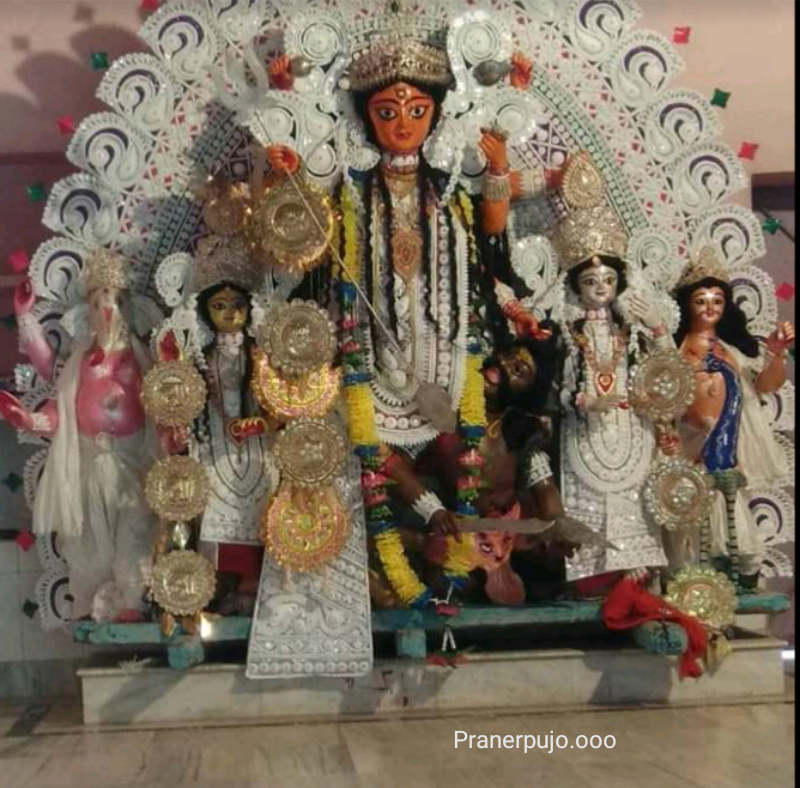 It's a barir Pujo of Poddar para's People,they loved This Durga Maa as their own mother. 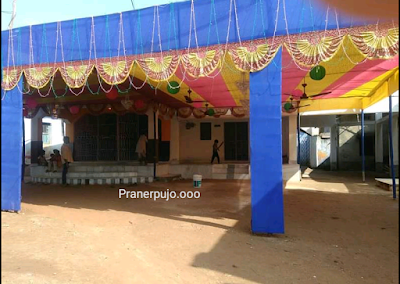 People are awaiting this Puja. This Poddar Parar's Durga ma's Idol Face never be changed every year it's made with the Same Face. 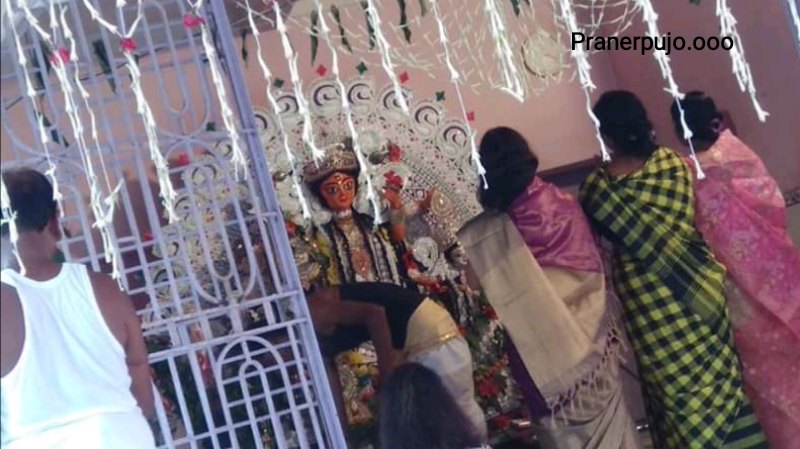 1) In the Day Of Ostomi So many people were come in the Puja Pandel and Praying for their Family, while the Sandhi Puja is Going on. 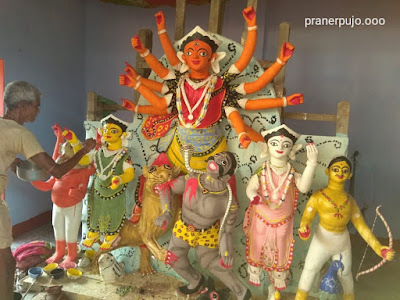 So the Poddar para's Durga Puja is so Famous for its Sandhi Puja. 2) BISORJON; the people of Poddar Para are really enjoyable so they set A Huge Band, sound system for Dancing. So many people came to see the BISORJON. After Getting the idol of Maa Durga From Poddar Para they are Started to Worshiped this Durga Puja. 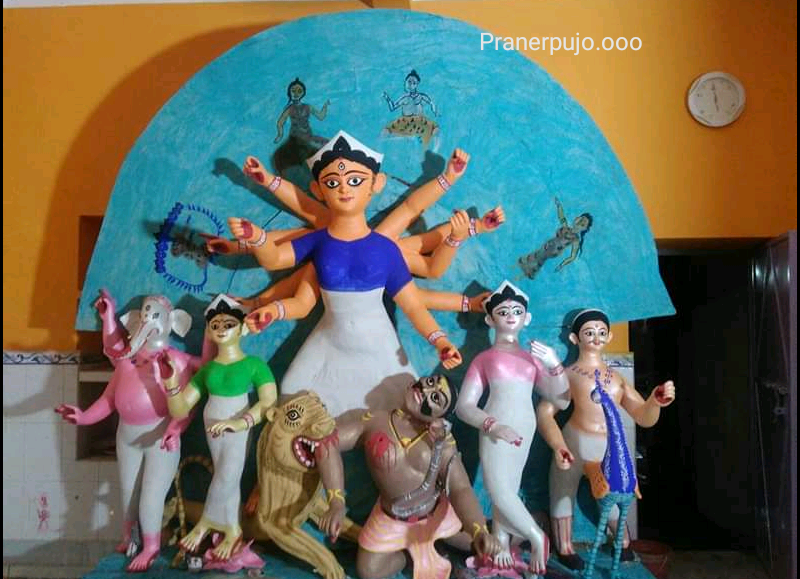 This Durga Puja is So much Similar to Poddar Para. There is also a Radha Raman Mandir Beside the DURGA ma's Mandir. 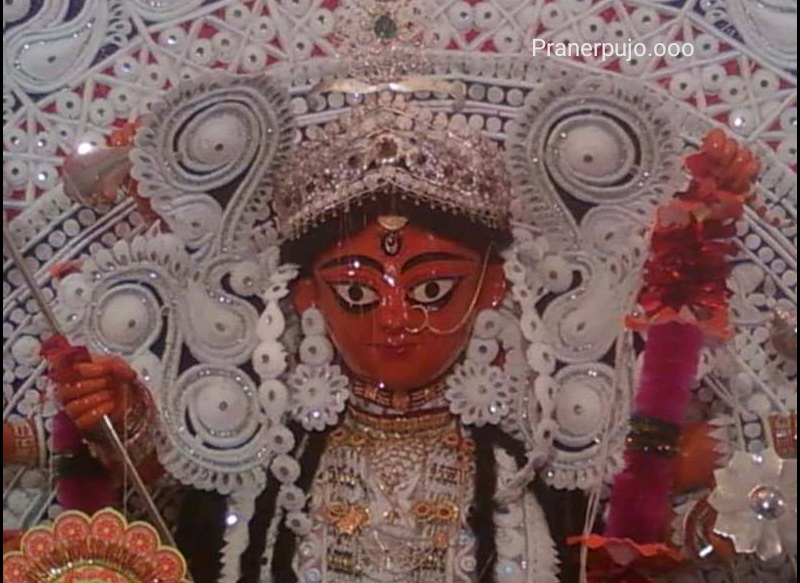 The Idol of this Durga Maa is older than Poddar Para. So it's called "Boro Maa" in Godardihi. This Idol comes to Poddar Para in the last day of its Puja(Ekadashi), people of Poddar Para worshipped in the Truck. Then they Say god bye by spreading Khoi( A food made from Rice or paddy). 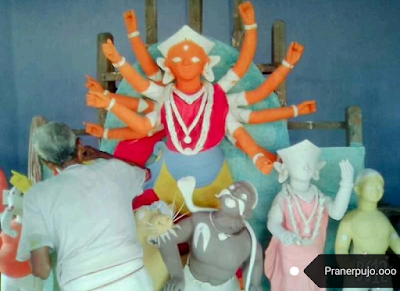 Then the people say "Asche bochor abar Hobe " by immersing the Idol of Maa Durga in the water. 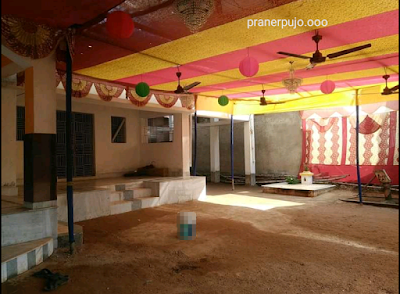 1) Sandhi Puja is also so famous here, so many people came to see the Sandhi Puja here. 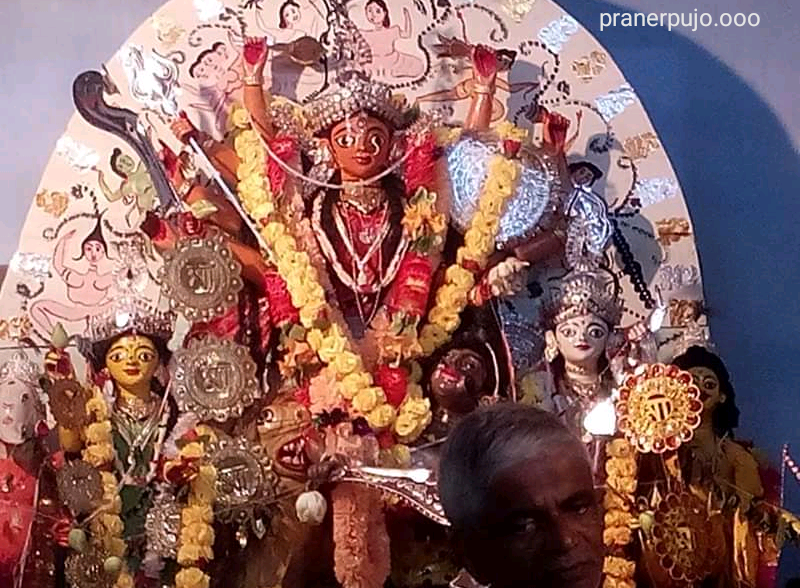 2) Programme- here its so famous because they are organised some Programme from the Day of Saptami to Doshomi. So Friends this is Our "Godardihi Durga Puja || Two Most Historical Durga Puja in Godardihi" Article. We Hope You like this Godardihi Durga Puja Article.